Stretch it and stuff it with all your indoor garbage. 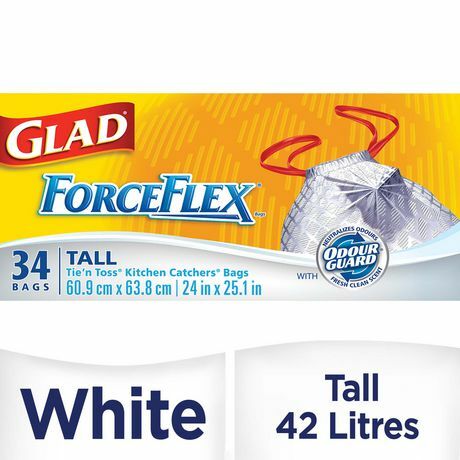 ForceFlex® bags extend around objects so you won’t end up with rips and tears, and with the Tie 'n Toss®closure you just pull on the drawstring to close and carry away. 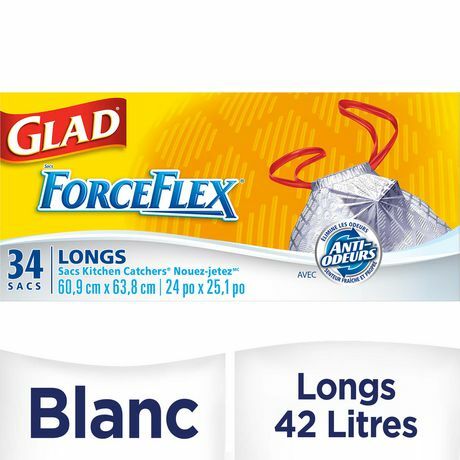 •GLAD® Odour Guard® is proprietary technology that neutralizes unpleasant trash odours. •GLAD® Tie 'n Toss® bags are strong and dependable for quick and easy closing. They also make for easy lifting and carrying.